My father insisted that I wouldn’t be able to get a good nighttime shot of the Louvre in Paris, France when we were there together six years ago. In my stubbornness, and without a tripod, I insisted otherwise. Not until we got home weeks later was I able to see the photos, since I did not have my computer with me on the trip. I’m quite happy with the way they turned out, and figured now – as I look through old photos from my various trips – is as good as time as any to share them. You failed to mention that it was drizzling and about 40 degrees and I told you that so we could go straight back to the hotel. Oh, no, not you…..it’s nice out here. Gorgeous shots. 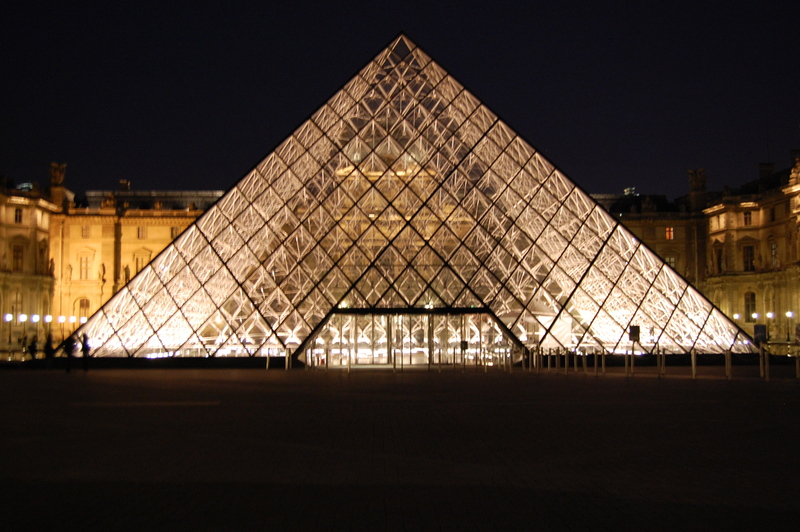 I am probably one of the few travelers who has been to Paris but never the Louvre. Someday will rectify this.